In email to a third party, copied to me, Linux activist and long-time friend Rick Moen comments on the acronym FLOSS (usually explanded "Free, Libré, and Open Source". Open Source -- Can It Innovate? There's an argument commonly heard these days that open-source software is all very well for infrastructure or commodity software where the requirements are well-established, but that it can't really innovate. I laugh when I hear this, because I remember when the common wisdom was exactly the opposite -- that we hackers were great for exploratory, cutting-edge stuff but couldn't deliver reliable product. How quickly people forget. We built the World Wide Web, fer cripessakes! The original browser and the original webservers were built by a hacker at CERN, not in some closed-door corporate shop. Before that, years before we got Linux and our own T-shirts, people who would later identify their own behavior correctly as open-source hacking built the Internet. 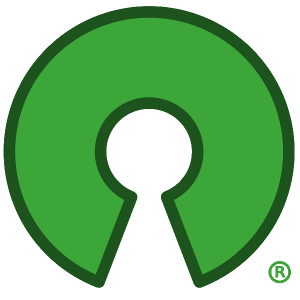 Read more about Open Source -- Can It Innovate? As SCO's attack against Linux collapses, with Judge Dale Kimball's ruling on the Novell copyrights making it plainer than ever that the lawsuit was fraudulent from the word go, we're now seeing recantations from two of SCO's three major journalistic stooges -- Dan Lyons and Rob Enderle. The third, Maureen O'Gara, has yet to be heard from. My resolve to treat Microsoft like any another license submitter is being sorely tested. Read more about My resolve to treat Microsoft like any another license submitter is being sorely tested. Nat Torkington asked recently Is "Open Source" Now Completely Meaningless. Certainly not; in fact, there are several reasons this label is still valid and important. I'm a pragmatist, so I'm not going to wave any flags or sing any anthems to argue this, just point out what has worked and continues to work. First of all, let's be clear about what "open source" means. Software is 'open source' when it is issued under a license compliant with the Open Source Definition. Nothing any clueless or malevolant corporate marketeer does can change that, because the term originated in the open-source developer community and only we have the authority to redefine it.